The American Health Council is proud to recognize Emmanuel Oni, MD for “Best in Medicine” for his outstanding contributions to the medical field. Currently the president and CEO at EG Family Practice and Psychiatric Services, INC. and chief psychiatrist at the Department of Public Safety and Correctional Services (DPSCS) — Jessup Region in Maryland, Dr. Oni provides high-quality psychiatric services to patients. Since taking the helm at Family Practice Psychiatric Services, INC. in 2011 and DPSCS in 2012, he has garnered skills and knowledge in psychiatry, patient accommodation and attention to detail to ensure that he provides the best services possible for his patients. When Dr. Oni was in school, he decided that he wanted to become a doctor as he felt that doctors were brilliant people with spectacular abilities to make a difference in others’ lives. With his helpful demeanor and attention to detail, Dr. Oni decided to pursue a medical degree in internal medicine at the University of Lagos — College of Medicine, but ultimately made the decision to switch his focus to psychiatry for a more balanced work and home life. After earning a medical degree from the University of Lagos — College of Medicine in 1996, he completed a psychiatric residency program at Saint Elizabeth Mental Hospital in 2011. That same year, he accepted a role as a psychiatrist at the United Medical Center while simultaneously serving as CEO and president of EG Family Practice and Psychiatric Services, Inc., where he has remained since. As a chief psychiatrist at DPSCS, Dr. Oni performs light administrative work, manages staff, writes reports and ensures that the unit runs as smoothly and efficiently as possible. Although his job is difficult at times, Dr. Oni believes that his staff is like a family that works toward the same goal each day. He is very proud of his decision to leave internal medicine for psychiatry, and he believes it is one of the best decisions he has ever made. Dr. Oni is a member of several professional associations, including the Washington Psychiatric Society, the Maryland Psychiatric Society, the American Medical Association, the Rotary Club of Columbia, Maryland and the American Board of Psychiatry and Neurology. With a successful career at hand — one that he attributes to his work ethic and inspiration from mentors, leaders and superiors — Dr. Oni plans to continue to expand his practice as well as become more involved with the American Psychiatric Association. The Department of Public Safety and Correctional Services protects the public, its employees, and detainees and offenders under its supervision. 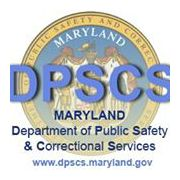 The Department of Public Safety and Correctional Services is one of the largest departments in Maryland with nearly 12,000 employees and a budget of more than $1 billion. In order to fulfill our mission of promoting safety, we have increased security at our institutions while leading the way in innovative restorative justice projects that will help offenders reintegrate into society upon release.